If there's one thing that sometimes I find that my bipolar can affect it's my sleep, I noticed that sometimes I can go to sleep about 11pm and wake up at 2am and I'm so alert, cannot sleep, my minds working at 110mph. I try not to take my prescription medication to help me to sleep because I don't like to feel dependable. So finding ways to settle myself and be able to sleep for a full night is something I'm always trying to do. A tip I found that's helped a bit is, being a complete maniac before bed time and I don't mean having a manic episode I mean, some sort of exercise, I don't do yoga in the evening as I find I need something a bit more fast paced so even if it's dancing, cardio, get the energy levels pumping and the heart racing. 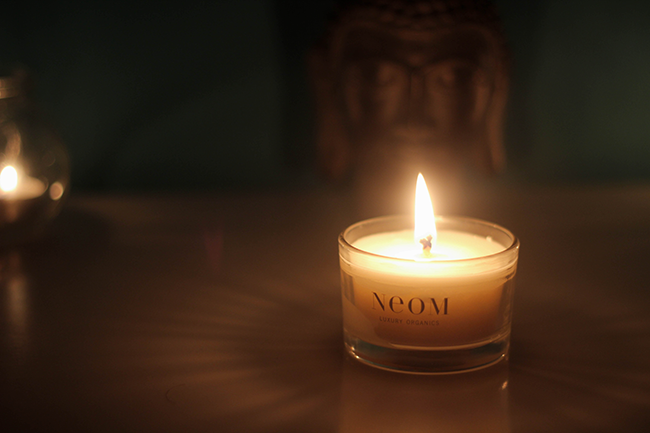 I begin to set my bath and set it with epsom salts and this NEOM Tranquillity Bath Foam, while the bath is running I will light this NEOM Tranquillity Home Candle and a few others so the room has time to get a mild heat and relaxing aroma. Making sure the candles are out of any flammable materials. I'll stay in the dim lighted bathroom for approx 30 minutes just unwinding and trying to release any negative energies / thoughts. 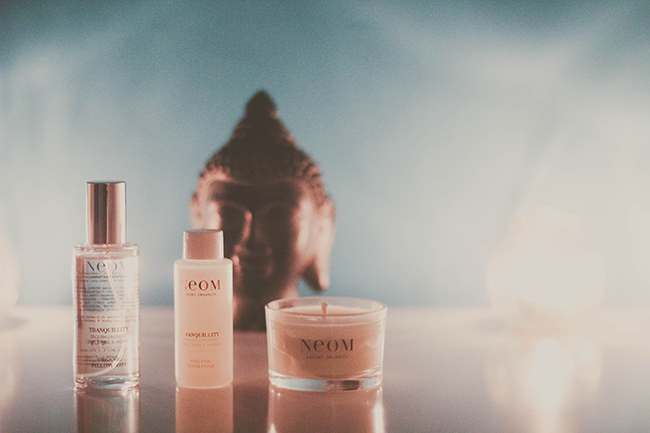 Upon coming back to my room, I will blow out the candles and spritz my pillows with the NEOM Tranquillity Room Mist before oiling my skin and getting ready for bed. If the nights are particularly chilly I'll pop my Microwavable Bagpuss into the microwave for the recommended time to get a little warmer. I found that I can wake up just because I'm cold in the night, thankfully for this throw on my bed which you can find here, it's got just a little bit more snug, here's the deal what I like about this throw is the underside, the fabric allows it to 'stick' to the bed, so it doesn't slip during the night with the toss & turns. 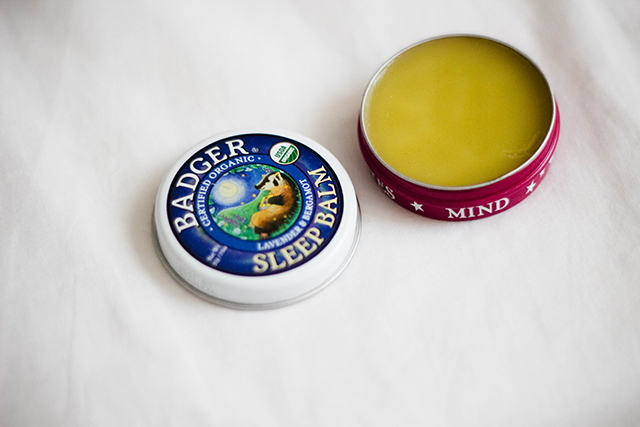 Another thing I've found that's helped me to relax is this Badger Sleep Balm with Lavender & Bergamot, I rub this on my temple and chest surprisingly enough I've warmed to the scent of lavender as it was on I use to detest and would make me nauseous. 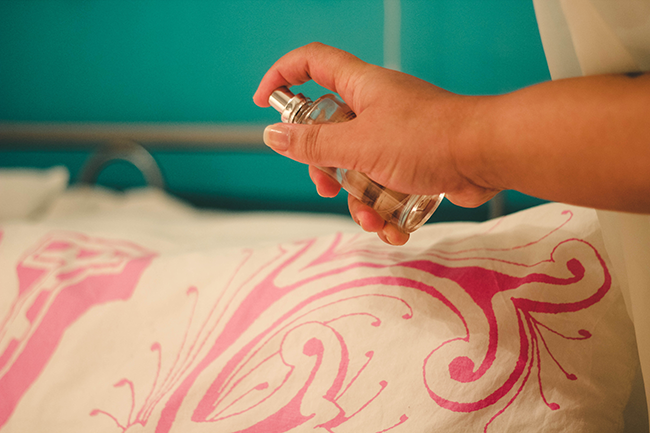 Whenever I've used this I've felt that my sleep has been more pro-longed and I feel a lot more restful in the morning but getting up well that's another story when the dark morning's occur SAD anyone - it never ends. What helps you sleep at night? 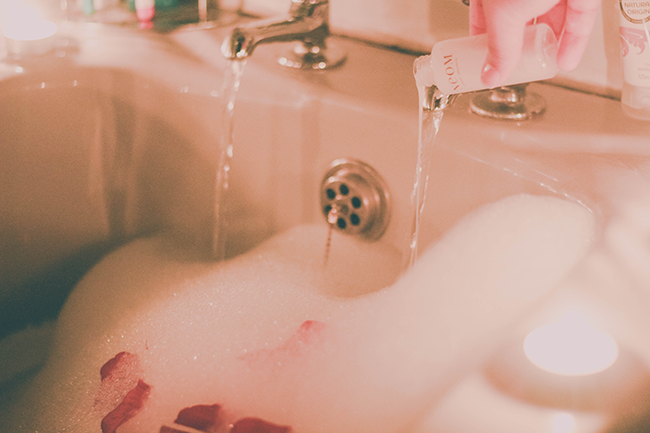 Epsom salts are not only to help us to have goodnight sleep.. but also help our skin to glow and moisturize. Anyway, I found you on Pinterest and I found interesting themes to customize our Pinterest page!